as Tom Selleck and Jim Cabela. A large portion of the mounts we do are full shoulder bison mounts for Cabela's Inc. Those mounts are pictured in over 5 million catalogs per year. We recently completed a spectacular diorama of a herd of running life-size bison for the Rapid City Cabela's store. 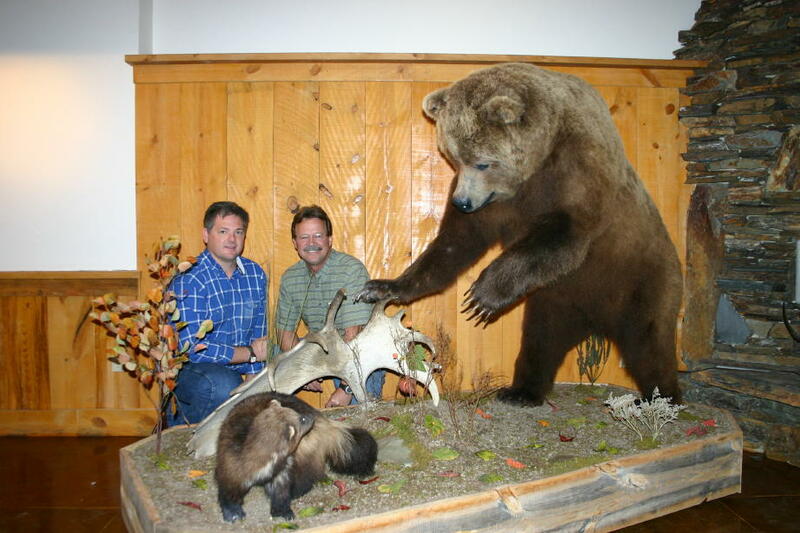 Gary English is a licensed professional taxidermist and an avid outdoorsman. He has had the opportunity to hunt several western states including several trips to Alaska. Some of his trophies include Mule deer, Whitetail deer, Pronghorn, Alaska Yukon moose, Dall's sheep, Barren Ground caribou, Sitka Blacktail deer, Timber wolf, Grizzly bear, and Kodiak Brown bear.